We’d love your help. Let us know what’s wrong with this preview of Deep in the Forest by Josef Antòn. Over 50 animals—including the okapi—hide on the pages of this beautiful board book. 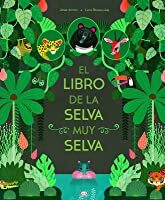 The gorgeous forest scenes take readers from morning to nig Deep in the forest, early in the morning, the animals slowly wake—except the panda, who is sleeping in. The monkey stretches, the red ant hides, the black bear yawns, and the gazelle smiles. But where is the okapi? Can you find it? To ask other readers questions about Deep in the Forest, please sign up. 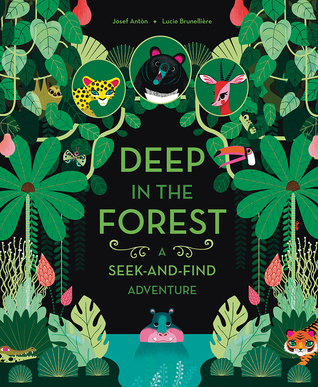 Deep in the Forest is a magical book that engages readers with vividly detailed illustrations and a playful game of animal hide and seek. I love how the author challenges little ones to find certain animals and insects hidden in the pages. The colorful forest and its occupants easily entertain readers as well. There are more than 50 animals in Deep in the Forest. The back cover contains pictures of all the animals readers will be looking for in this fun book children will enjoy again and again. I Deep in the Forest is a magical book that engages readers with vividly detailed illustrations and a playful game of animal hide and seek. 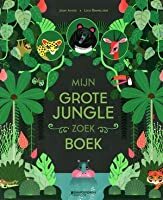 This is an amazingly illustrated book with unusual animals, and the bonus of hidden pictures that a child can look for. While it is a little awkward in size, the board book edition is durable and overall it is just wonderful. Een leuk zoekboek, maar ik moet wel zeggen dat ik meer had verwacht. Het waren toch dezelfde dieren continue weer, en tja, er was niet superveel te zoeken. Je had een flapje waarachter (verrassing verrassing) het beest zat dat je zocht, en misschien nog een paar kleinere andere opdrachten, maar om het nou heel spanned te noemen? Eh. Ik heb hem ook voornamelijk hoog gerate vanwege de illustraties die echt supermooi zijn. En daarom heb ik ook het boek 2 keer doorgeneusd. B-E-A-YOOOOTIFUL. Nearly overwhelming, but then again - aren't all seek and finds kind of overwhelming?